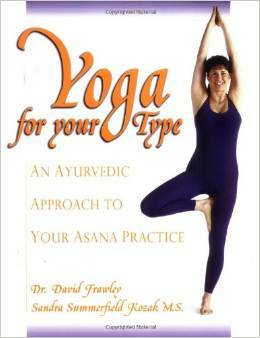 YOGA FOR YOUR TYPE is the first book that details how to choose Yoga asanas (Yoga poses) most appropriate for your unique body type according to the five thousand year old system of Ayurvedic medicine (and its three Doshas of Vata, Pitta and Kapha). The book remains the most commonly used Ayurvedic asana manual in the West and is an “Editor’s Choice book” forYoga Journal magazine. The book iis used by many Yoga centers as a guide and a reference. Also discusses the relevance of Ayurvedic life-style for Yoga practitioners. Both authors bring in a wealth of experience and are well known teachers in their fields.